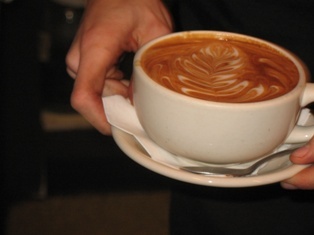 Coffee Culture in Pittsburgh – Thrown Dahn! 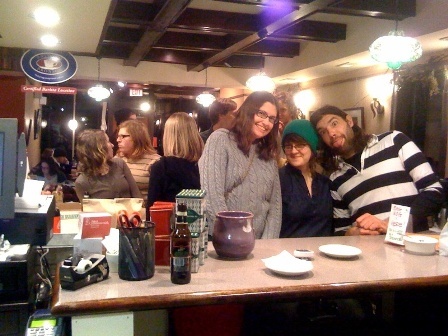 Last night Tazza D’Oro hosted another latte art throw down. 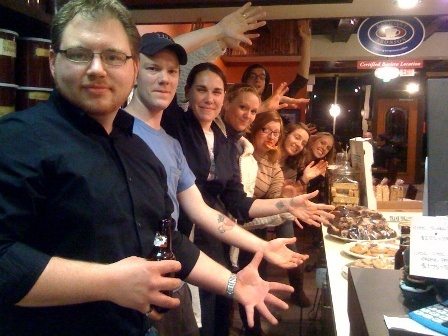 The shop was filled with customers, spectators, competitors and a very serious table of judges. Turner Dairy was totally rad and donated all the milk for the night and one of the prizes that a picture of the winner will reveal. Thanks to all who showed – Phil, Ashely and Sarah- Beleza Community Coffeehouse, Rich – Aldo Coffee, Morgan and friends – Union Project, Wade – Simpatico, Matt – La Prima, Jake – Beaver Falls Coffee, and all the Tazza D’Oro baristas. 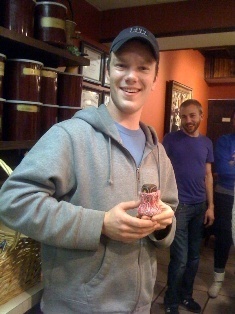 Tazza D’Oro baristas’ Zach, Emily and Braden took 1st, 2nd and 3rd place. 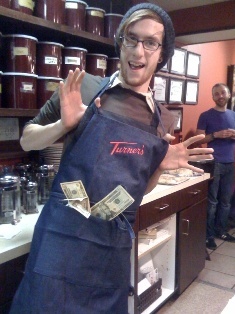 Zach won some cash and an apron from Turner Dairy – awesome, Emily also got some cash – awesome again and Braden won a tamper cozy – ? (made by Emily) – there should be a good story behind the cozy but there isn’t! We also had a surprise visit from one of our original baristas – Abass Kamara. Abass literally moved back to Pittsburgh last night and made Tazza D’Oro his first stop. For the last 7 or 8 years Abass served as a Special Assistant to the Governor and he is back in Pittsburgh to accept a position with the front office of the Pittsburgh Penguins – his dream job, btw. Congrats kiddo! Thank you everyone, what an absolutely fun night. I was really sorry to miss this one... sorry, some last-minute pet issues kept me away. 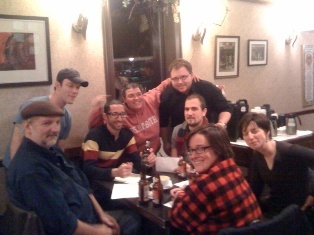 Nice to see the Tazza D'Oro folks showin' their stuff. i have to say that i'm pretty stoked the way everything panned out. 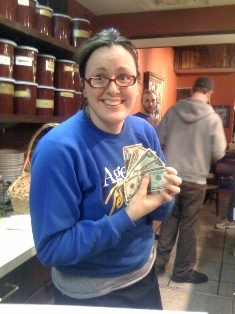 plus i walked home with some cash-ola. pretty sweet.